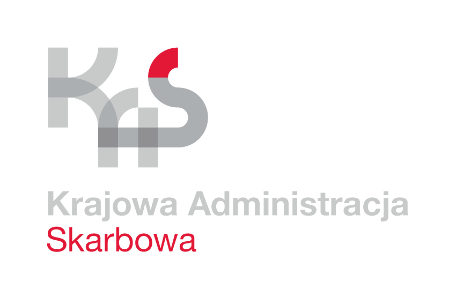 The Customs Department of Polish Ministry of Finance presents the Tariff Browser and the Tariff Calculator. Tariff Browser allows browsing through the Internet the tariff data, above all the nomenclature codes and duty rates, and also other data related to Customs Tariff. Calculate custom duties and taxes for importing/exporting goods. Calculate Meursing additional codes based on agricultural components. View information related to exchange rates of foreign currencies in EUR. The selection of one of the available languages enables the display and/or search for EU data in this language and causes the change of Browser language. Polish data are presented in Polish only. Certain pages presenting text data existing only in Polish are used always in Polish, independent from selected interface language. On Homepage the date of the last data modification is displayed too. It indicates the date from which the most up-to-date data are coming which can be displayed, searched with the browser and/or used for calculation purposes. This date indicates the current legal status. The Tariff Browser enables the search of data with legal status according to various dates. By default the simulation date is always the current date, and in case of search for a legal status with a different date, this date must be entered in the Simulation date field. The Set current date button allows for automatic return to the current date, in case it was changed earlier. The calculator allows the user to calculate customs duties and taxes, performed based on the full and partial data sets. This operation can be performed by any user of the system ISZTAR4 and any unauthorized user. Type determines if the calculation process concerns Importing or Exporting of good. The country of origin / destination (based on value of field Type) should be chosen. The full 10-digit TARIC nomenclature code.If incorrect code is inserted, then then the Tariff Browser displays the error message "Invalid code". You should go back to the Browse Tariff page and insert another goods nomenclature code or go back to Home page and change the Reference Validity Date. System displays the appropriate Meursing code. User presses the linked code, which is automatically entered in the calculator form field. The supplementary units with qualifier (if necessary) must be chosen from the list of supplementary units with qualifiers available. The supplementary units can be added by clicking "Add ". User inserts value in the Quantity. The measurement unit can be selected from the list of measurements in the "Code" field. The supplementary units can be entered in any sequence. In order to remove the supplementary unit from the list, one has to check out the square on the right side of the given supplementary unit and click "Delete" sign. The Additional Codes have 4 characters. Maximum three additional codes are possible to enter for one question. The Additional codes can be entered in any sequence. When user fills the necessary fields for his calculation he presses “Calculate duties” button. The exchange rate of EUR in the selected for calculation monetary unit. Box 47 of the SAD which contains the payment details. Meursing menu allows user to calculate Meursing code, or display values of components based on the known code. System displays corresponding to entered values Meursing code. It is also possible to enter the known Meursing code in order to display the corresponding values of components. There is presented information of place of publication of currency exchange rates below the table. It will appear only if entered in Master Tariff Database. The way the criteria are entered is described in Display criteria. The goods nomenclature is built as a hierarchically structured tree. After the button Browse nomenclature tree has been pressed, the Tariff Browser displays the Nomenclature tree screen with the section list. From that list, after clicking the section number, it is possible to go to the chapter list (two-digit code), then accordingly to the heading list (four-digit code), the sub-heading list (six-digit code), the combined nomenclature – CN list (eight-digit code), and the TARIC nomenclature list (ten-digit code), which is on the lowest tree level. To all chapters two links are added: Legal Notes and ExplanatoryNotes. The first link allows user to go to legal notes of the chapter, and the second to explanatory notes of the chapter. This doesn't mean that each chapter has legal and explanatory notes attached. In fact, only certain chapters actually have such attachments. The links indicate however, that Legal Notes and ExplanatoryNotes can be attached to any chapter. The layouts of the screens on chapter and position levels are related. The only difference is that only notes can be attached to positions. Sometimes footnotes and BTI links are assigned to codes on given levels. Clicking on the BTI link redirects user to the BTI EU System. Instead of scrolling the tree step by step, one can go directly to the searched code through entering the code into the Goods nomenclature code field and clicking the button Browse nomenclature tree. The browser displays the searched code in the context of adjacent codes. From the Tariff tree screen it is possible go directly to the Duty rates screen. This is possible through clicking the nomenclature code on the lowest level, that is, the code which has no hierarchically lower codes. From that code one can go to the measures which are assigned to it. Note: Entering a criterion in the additional information field when browsing nomenclature tree has no influence on the course of operation. The measures are duty rates, taxes (VAT and excise tax), and non-tariff restrictions which are assigned to nomenclature codes. The measures are always displayed for a particular nomenclature code. After the code has been entered the Tariff Browser displays all measures assigned to that code, for all the origin/destination countries. If, besides the code, also the origin/destination country criteria have been entered, the result will concern only those measures which are assigned simultaneously to the selected nomenclature code and origin/destination country. Note: Entering the additional information as criterion has no influence on the course of measure display operation. After the criterion (criteria) has been entered and the operation initialized, the browser displays the Duty Rates screen, where the information is presented in following order: the goods code with the goods description, measurement unit, restrictions concerning import and/or export of goods (with relevant footnotes, legal acts, and additional codes), and duty rates for particular countries or for a specific country (with relevant footnotes, legal acts, and additional codes as well). Clicking the footnote code, legal act and additional code button opens the screen with detailed information. On the screen presenting the additional code description text sometimes the link to the footnote text of this code is displayed. Some rates include a link to so-called agricultural component (Meursing code). After clicking that link (“Composition of goods Meursing code”) the Meursing calculator screen is displayed where, after entering used values, it is possible to calculate an additional duty for certain agricultural commodities. Sometimes applicability of a measure or the amount of duty rate depends on the certain conditions. In such a case the link Conditions is displayed below the measure. After clicking that link the screen presenting the information regarding conditions is displayed. If the measure is assigned to the country group, it happens that some countries from that group are excluded from the application of the measure – then beside the country group code the abbreviation excl. is displayed with link(s) to excluded country (countries) id. Duty rates are displayed in the alphabetical order according to the geographical areas to which they are assigned, but in the beginning measures assigned to all the countries (Erga Omnes) are always displayed. By clicking the code of the country or country group one will receive the related information on the Geographical areas screen. There is also displayed a list of links which represent the Nomenclature Groups connected with current nomenclature code or code above in hierarchy. User can click on those links and can see the group description and its start date. The additional information covers: Legal Notes, Explanatory Notes, Binding Tariff Information, Lists of Goods, Classification Regulations, Explanatory Notes for CN, Classification Rulings of European Commission, Adjudications of European Court of Justice, Pronouncements of Customs Code Committee, Compendium of Classification Opinions and Decisions of Harmonised Code Comittee. The display of additional information is carried out by displaying all information (within one of the mentioned above areas) which is assigned to the nomenclature code entered as a criterion. When, for example, code 0101 00 00 00 has been entered and additional information area "Legal notes" selected, the browser displays all legal notes assigned to the code 0101 00 00 00. Only the additional information valid for the entered validity date is displayed. If for example user inserted in the nomenclature code field Chapter “5002” and selects Explanatory notes in the additional information and clicks the button “Search additional information” then system displays a link “Uwaga do pozycji 5002 ” and if user clicks on that link system displays the content of explanatory notes of chapter 5002. Independent from whether one or more information is assigned to the entered code, the found information is displayed in the beginning as a list of identifiers. After clicking the proper identifier the complete additional information is displayed in the Tariff Browser. When no additional information is assigned to the entered code, the browser displays the message “No search results”. This is the code which allows for hierarchical classification of goods. After the code has been entered, the Tariff Browser displays the code within the nomenclature tree or measures assigned to the code or additional information containing the code. If, besides the code, also the origin/destination country has been entered, the browser displays only the measures. The code must have the correct format, that is, it must be the two-, four-, six-, eight- or ten-digit code. It is not necessary to enter the spaces after the fourth, sixth and eight digits. This is the country from which the taxed commodity is imported or to which it is exported. After the country has been entered, the Tariff Browser displays all the measures assigned to that country. For each country, the line contains the country code and the country name. Beside the country, also the goods nomenclature code indicating the commodity must be entered. If no code has been entered, the browser displays no measures. This is the information assigned to nomenclature code. It is only possible to display these assignments on one search area. After the nomenclature code and the selected area have been entered, the Tariff Browser displays additional information containing entered code. When in the selected area there is no nomenclature code entered as a criterion, the browser displays an adequate message. (Maybe is the “No search results” message). If no code has been entered, the browser displays the message “Goods nomenclature code cannot be empty”. The text search is searching for additional information with nomenclature codes descriptions added, according to text expression. When, for example, the word "saltpeter" has been entered and additional information area "Legal Notes" selected, the Tariff Browser displays all legal notes containing the word "saltpeter". Only the additional information valid for the set reference validity date is searched. Independent from whether one or more occurrence of the entered expression is found in the selected search area, the found information is displayed in the beginning as a list of identifiers. After clicking the proper identifier the complete additional information with the occurrences of the entered expression highlighted is displayed in the browser. On the Text expression screen the searched word or other search pattern (a fragment of a word, sentence, eventually with special signs or operators) should be entered. To search for a tariff information based upon a fragment of a word, the star wildcard character ( * ) should be used. For example, when searching for "pac*", all information containing "pac_" such as "packs", "packings", packages" etc. is obtained. Several text expressions can be entered as well. To get the information containing all expressions, the expressions should be connected by AND operator. To get information containing at least one expression, the expressions should be connected by OR operator. The browser does not distinguish different sizes of letters. The same results will be obtained after entering “Meat”, “MEAT”or “meat”. The text expression is a word or part of the word. For example: “meat”, “beef meat”, “fresh beef meat”, etc. If there is need to search in all areas one should select “All” in additional information drop down list. As a result of search there will be presented a list of all available areas with number of matches in each. Every item of this list is a link to search in particular area. More precise ways of searching are described in the examples below. When using text search, special operators, which define the range of searched expressions, can be used. The following list presents examples of possible operators to be used. The examples concern nomenclature code descriptions in English. The main purpose of the list is to present the principles of search, so it may happen, that due to modifications of the Master Tariff the real search results will look a bit different. The AND operator is used to search for texts containing at least one occurrence of each of the searched expressions. The AND operator can be combined with all the other operators. Example: when searching for "live AND animals", the results are: “LIVE ANIMALS”, "Live bovine animals" and "Other live animals". The OR operator is used to search for texts containing at least one occurrence of each of the searched expressions. The OR operator can be combined with all the other operators. Example: when searching for "potatoes OR meat", the results contain word "potatoes" or "meat" or both of them. The AND operator takes precedence to the OR operator. However, this precedence can be altered by putting parentheses. When searching for "meat OR fruits AND fresh", the results are all expressions containing word "meat" and all containing both words "fruits" and "fresh". When searching for "(meat OR fruits)" AND fresh" the results are all descriptions containing the word "fresh" and at least one of the words "meat" or "fruits". The star wildcard operator indicates that any character or characters can appear in position represented by the wildcard. The * operator can be used in any place within a word. Example: When searching for “pack*”, the results include "packs", "packings", packer", "packed" etc. next to "packages". The question mark wildcard operator indicates that a single position represented by question mark any character can occur. The ?operator can be used in any place within a word. Example: when searching for “processe?” the results include "processes" and "processed". The $ operator expands search to include all expressions having the same stem or root word as the searched for expression. It may only appear at the beginning of a word. Example: When searching for “$live”, the results include "Liver" and "living" next to "live". The ~ operator expands search to include all expressions spelling in a way similar to the searched for expression. It may only appear at the end of a word. Example: When searching for “packs~”, the results include "backs", "parkas", "parks" and "padlocks" next to "packs". The text expression is a text or its fragment. After the text expression has been entered, the Tariff Browser finds it within the selected additional information category. The default search area is Nomenclature Codes Descriptions. Information, within the entered expression is searched for. Additional information covers: Nomenclature Codes Descriptions, Legal Notes, Explanatory Notes, REG, INF (do zmiany). After the expression and the selected area have been entered, the browser displays additional information containing entered expression. When in the selected area there is no expression entered as a criterion, the browser displays an adequate message. Changes can be performed to TARIC Nomenclature codes (10 –Digit codes). Correlation table is a tool that helps traders to find out which of the nomenclature codes are affected by those changes. The Correlation type shows the type of the displayed results (New commodity codes / Expired codes). After the code has been entered, the Tariff Browser displays the new commodity codes with the expired codes and the start date of replacement and in other case systems shows the expired commodity codes the codes which replace them and the start date of replacement. This is the goods nomenclature code. After the code has been entered, the Tariff Browser finds goods nomenclature if it is expired or if it is replaced another code. This is the start date for the correlation table search. This is the end date for the correlation table search. Searching for the geographical area consists of searching for the country or country group. The country is searched for by entering the ISO country code (for example, “PL”). The obtained result includes, beside the ISO country code and the country name, also the codes of all the country groups, to which the searched country belongs. The country group is searched for by entering the code of this group (for example, „1011”). The obtained result includes the list of all the countries which belong to this group. Besides, at each country the list of all the groups to which the country belongs is presented. This is the country code given by the International Standard Organization (ISO) under the number 3166-2 Alpha code. After the code has been entered, the Tariff Browser finds the country name, codes of country groups to which the country belongs. This is the name of the country. After the name has been entered, the Tariff Browser finds the ISO country code, codes of country groups to which the country belongs. This is the code of the country group to which two or more countries belong. After the code has been entered, the Tariff Browser finds the ISO country codes, country names. Information covers information contained in the first volume of Master Tariff. The Tariff Browser displays the complete information, for a previously set reference validity date. Certificate identifies licences, certificates and similar documents required to be produced for import/export declarations. Certificates are not integrated as separate measure types, but as conditions of the various measure types, for example surveillance, preferences etc. Here user can search and view details of certificates. This is the code of the certificate. After the code has been entered, the Tariff Browser finds the certificate together with its description. This is the description of the certificate. After the description has been entered, the Tariff Browser finds the certificate together with its code. Additional code is used optionally for creation of measures. This is the additional code. After the code has been entered, the Tariff Browser finds the code with its description. This is the description of the additional code. After the description has been entered, the Tariff Browser finds the additional code. This function allows to search and view Quotas defined in system. One can search quotas by quota number, country code, critical status and status. After search, on the screen will be presented a list of found quotas. To view full information about particular quota one should use “Details” link placed on the right side of screen. The quota number that identifies the quota. The critical state indicator provides information that the quota is in the critical state i.e. the quota has reached the quota critical threshold and it is close to being exhausted. The geographical area of origin the quota applies for. The quota can be associated with the geographical area or group of countries. In the latter case it is applicable to all the geographical areas that belong to the group of countries in the quota validity period. As a search criterion a geographical area can be specified. Status displays the status of quota. If quota is e.g. open, blocked, unblocked etc.